As Jesus concludes His final Passover meal with the disciples, the peace and serenity in the upper room stand in stark contrast to the violence that is about to unfold outside. After conducting the Passover ceremony emphasizing the symbolism of bread and wine, Jesus took time to share with His disciples some final thoughts. As He had answered their questions on the Mount of Olives about the eventual end of the age, so He now told them what was going to happen immediately. He said He was going away to prepare a place for them so they could be with Him in the future, and that they knew the way there. It was an enigmatic statement. Thomas gave voice to their puzzlement, saying, “We don’t know where you are going, so how can we know the way?” Jesus replied, “I am the way and the truth and the life” (John 14:5–6). In other words, Jesus was making it clear that their new way of life would be one of following His example. The result of living that way would be to share in Christ’s kingdom when it would be established on the earth. Jesus went on to say that no one could come to understand God, the Father, except through Him. He said that by knowing Him, they could know the Father. This caused Philip to ask to see the Father. He said, “Show us the Father and that will be enough for us.” Jesus pointed out that they had experienced the Father by being with His Son for many months. What Jesus had said and done were the words and works of the Father. Jesus’ miracles were evidence of the Father at work in the world. The relationship between the Father and the Son meant that the disciples could achieve greater works, because Christ would grant their requests for help from His position as the Son of God. Jesus went on to explain that their love for Him would mean obedience to His commands. They had seen Him observe His Father’s law, and they were required to do the same. He then promised that the Father would send them spiritual comfort and help in the form of the Holy Spirit. The Holy Spirit is also the spirit of truth, unaccepted by the world at large. Soon Jesus would be gone, yet the disciples would not be like orphaned children, because the Holy Spirit would be with them. After Jesus repeated the need to follow His commands as evidence of their love for Him and the Father, one of the disciples, named Judas (not the one who betrayed Him), asked why Jesus was not letting the world know who He was. Again His reply was enigmatic. He said that those who loved Him would obey His teaching and as a result would have a relationship with the Father also. Jesus also said that He spoke only His Father’s words, that the Holy Spirit would continue to reveal truth to them, and that they should be at peace and not be afraid. The disciples would go on in the world without His physical presence. Yet they would be making progress toward the eventual kingdom of God on the earth. They would contend with the pressures of living in this world for a time, comforted and helped by the Holy Spirit. Jesus then warned them that Satan was about to attempt to thwart God’s plan by having Him killed. Yet as He said, Satan, the prince of this world, would have no hold over Him. To demonstrate the Father’s and the Son’s unity of purpose, it was necessary that Jesus die willingly for the sins of humanity. From now on the disciples’ involvement with Jesus and all that He stood for would have to be total. He taught them that they were like branches of a vine. He was the vine and His Father was the gardener. Branches that bear no fruit are cut off. Branches that do bear fruit are pruned so that they can bear more fruit. Productive disciples are like fruitful branches; they will need to be pruned at times so they can bear more fruit. 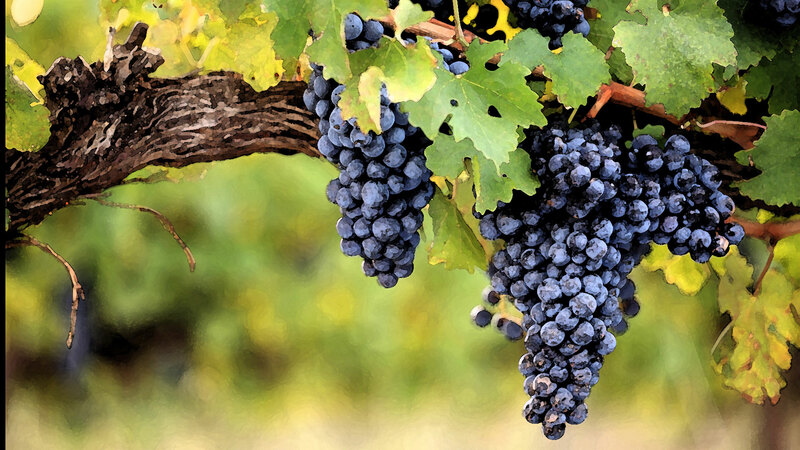 The key to being fruitful is to stay connected to Christ, the vine. Jesus said, “Without Me you can do nothing” (John 15:5, New King James Version). Jesus went on to explain again that obedience to His commands is essential: “If you obey my commands, you will remain in my love, just as I have obeyed my Father’s commands and remain in his love” (verse 10). He then commanded the disciples to love one another as He, Christ, had loved them. He demonstrated the depth of that love by dying for them and for us. As He said, “Greater love has no one than this, that he lay down his life for his friends” (verse 13). He reminded them that they had been drafted into service. Like all those God calls, they did not choose Him; He chose them to go out and bear fruit. Jesus next explained that following Him meant separation from the world. Not the separation of the monastery or the hermit, because Jesus intended that His followers would continue to live in society. Jesus’ followers would be separated from the world by practicing His teachings. He said, “If the world hates you, keep in mind that it hated me first. If you belonged to the world, it would love you as its own. As it is, you do not belong to the world, but I have chosen you out of the world. That is why the world hates you” (verses 18–19). The hatred that the disciples would experience was the result of their enemies not knowing God the Father, nor recognizing His Son. Jesus said the society around had seen His miracles and rejected both Him and His Father. He said this was the fulfillment of a prophecy in the book of Psalms, which says, “They hated me without reason” (verse 25). Jesus went on to explain that the disciples would testify as witnesses of His work under the guidance of the Holy Spirit. He told them these things so that they would not be discouraged by hostility and hatred. “They will put you out of the synagogue,” He said; “in fact, a time is coming when anyone who kills you will think he is offering a service to God” (John 16:2). So it is possible for people to think they are serving God when in fact they do not even know who He is. It is possible for people to think they are serving God when in fact they do not even know who He is. Jesus again reassured His disciples that the Holy Spirit would come to help them, but only after He had left them. He would no longer be physically present with them, but the Holy Spirit would be given to them. The Spirit of God would guide them into all truth, inspiring them to understand the things of God. Once again He reminded them that soon they would see Him no more, and then after a little while they would see Him. He spoke of going to the Father, but they couldn’t understand what He meant. He explained further by saying, “You will weep and mourn while the world rejoices. You will grieve, but your grief will turn to joy. A woman giving birth to a child has pain because her time has come; but when her baby is born she forgets the anguish because of her joy that a child is born into the world” (verses 20–21). Jesus was speaking of His soon-coming death and resurrection. He admitted that in all this He had been speaking in hard-to-grasp figurative language. For example, when He spoke of going to His Father, they had not understood. Now He said, “A time is coming when I will no longer use this kind of language but will tell you plainly about my Father” (verse 25). He continued: “The Father himself loves you because you have loved me and have believed that I came from God. I came from the Father and entered the world; now I am leaving the world and going back to the Father” (verses 27–28). Finally the disciples seemed to understand. They said, “Now you are speaking clearly and without figures of speech. Now we can see that you know all things and that you do not even need to have anyone ask you questions. This makes us believe that you came from God” (verses 29–30). Despite their assurance, Jesus replied that a time was coming when they would scatter and desert Him. He said that He had told them these things so that they could be forewarned and have peace. Although they would have opposition, hatred and hostility in the world, they could be encouraged because He had overcome the world and its animosity. As the time came for Jesus’ betrayal, the Gospel accounts describe in detail four prayers that Jesus offered up. One was for His disciples, and the other three were for the strength to go through the ordeal of crucifixion. John’s Gospel records the first prayer, in the upper room where He and the disciples were gathered for the Passover. Jesus looked toward heaven and prayed: “Father, the time has come. Glorify your Son, that your Son may glorify you. For you granted him authority over all people that he might give eternal life to all those you have given him. Now this is eternal life: that they may know you, the only true God, and Jesus Christ, whom you have sent. I have brought you glory on earth by completing the work you gave me to do. And now, Father, glorify me in your presence with the glory I had with you before the world began” (John 17:1–5). Jesus said that He had delivered God’s Word—His truth—to the disciples whom the Father had called out of the world. He said, “I pray for them. I am not praying for the world, but for those you have given me, for they are yours” (verse 9). Knowing that He would not remain in human society much longer, He prayed for protection for His disciples, saying, “Holy Father, protect them by the power of your name—the name you gave me—so that they may be one as we are one” (verse 11b). He said: “My prayer is not that you take them out of the world but that you protect them from the evil one. They are not of the world, even as I am not of it. Sanctify them by the truth; your word is truth” (verses 15–17). Jesus went on to extend His prayer to all of His followers down through time, saying: “My prayer is not for them alone. I pray also for those who will believe in me through their message, that all of them may be one, Father, just as you are in me and I am in you. May they also be in us so that the world may believe that you have sent me” (verses 20–21). Jesus concluded His prayer for the disciples by acknowledging the difference between those called and the world around. He said, “Righteous Father, though the world does not know you, I know you, and they know that you have sent me. I have made you known to them, and will continue to make you known in order that the love you have for me may be in them and that I myself may be in them” (verses 25–26). Next they sang a hymn together and went out across the Kidron Valley to an olive grove called Gethsemane, on the side of the Mount of Olives. Jesus said to His disciples, “Sit here while I go over there and pray.” Then, taking Peter, James and John with Him, He began to be very distressed and troubled. “My soul is overwhelmed with sorrow to the point of death,” He told them. “Stay here and keep watch with me” (Matthew 26: 36–38). Withdrawing a little farther from them, He fell to the ground and prayed, “My Father, if it is possible, may this cup be taken from me. Yet not as I will, but as you will” (verse 39). Luke’s Gospel tells us that an angel from heaven appeared and strengthened Him. Now in great anguish He prayed even more fervently, so that His sweat was like drops of blood falling to the ground (Luke 22:43–44). He got up from praying and went back to His disciples, who had fallen asleep, exhausted from sorrow. He said to Peter, “Could you men not keep watch with me for one hour? Get up and pray so that you will not fall into temptation. The spirit is willing, but the body is weak” (Matthew 26:40–41; Luke 22:45–46). Now for the second time at Gethsemane He prayed, “My Father, if it is not possible for this cup to be taken away unless I drink it, may your will be done” (Matthew 26:42). Separation from the Father through death for sin was soon to be Christ’s ultimate anguish. When He went back to His disciples He found them asleep again. This time they didn’t know what to say, so He left them and prayed the same prayer a third time. When He returned to His sleeping disciples, He said, “The hour has come. Look, the Son of Man is betrayed into the hands of sinners. Rise! Let us go! Here comes my betrayer!” (Mark 14:40–42). Judas Iscariot now arrived with a large crowd, armed with torches and lanterns, swords and clubs, and accompanied by a detachment of Roman soldiers. He also brought with him representatives of the religious leadership. Jesus asked who it was they wanted. He asked knowingly, wanting to protect His disciples. “I am he,” said Jesus. As He spoke, the mob fell to the ground. Jesus then asked again who it was that they were looking for. Again they said, “Jesus of Nazareth” (John 18:4–7). John’s Gospel records Jesus’ reply: “I told you that I am he. If you are looking for me, then let these men go.” According to John, “this happened so that the words he had spoken would be fulfilled: ‘I have not lost one of those you gave me’” (verse 9). Now Judas came forward to greet his Master with a kiss—the prearranged signal that Jesus was the one the Romans should capture. As he did so, Jesus said, “Judas, are you betraying the Son of Man with a kiss?” (Luke 22:48) and “Friend, do what you came for” (Matthew 26:50). The question of why Jesus had to undergo the experience of betrayal has puzzled some. Why could He not have been simply captured without betrayal? It is, of course, one of the worst forms of emotional abuse. To be betrayed by one who is an intimate friend is an experience that many face in this life. It’s commonplace. As the Savior and High Priest of His people, Jesus Christ had to suffer the things we do so that He can empathize and help us when we are in need. When we suffer betrayal, He is there, knowing exactly the circumstances, the pain and the emotional turmoil. He is there to relieve that distress. When Judas came out of the darkness to betray Jesus, it was with the symbol of a close relationship—a kiss. Christ had to suffer the things we do so that He can empathize and help us when we are in need. Another of the disciples was outraged by what was happening. As the authorities stepped forward to arrest Jesus, Peter took a sword and slashed at one of them. He struck a man named Malchus, who was the servant of the high priest. Peter’s blow cut off the man’s ear. Jesus’ response was to tell Peter to put the sword away. He then healed Malchus’s injury. “All who draw the sword will die by the sword,” said Jesus (Matthew 26:52). He added that, if it were necessary, God could send a legion of angels to take care of Him. But if that happened, then He would not be able to fulfill the purpose for which He had come. Jesus also took the opportunity to remind the mob that they were coming against Him under cover of darkness with clubs and swords, yet had failed to arrest Him in the temple when He spoke freely and openly to the people. This too, He said, was a fulfillment of the prophecies about the Messiah. And then, as Jesus had anticipated, all of His disciples ran away, leaving Him to face torture and an excruciating death alone.